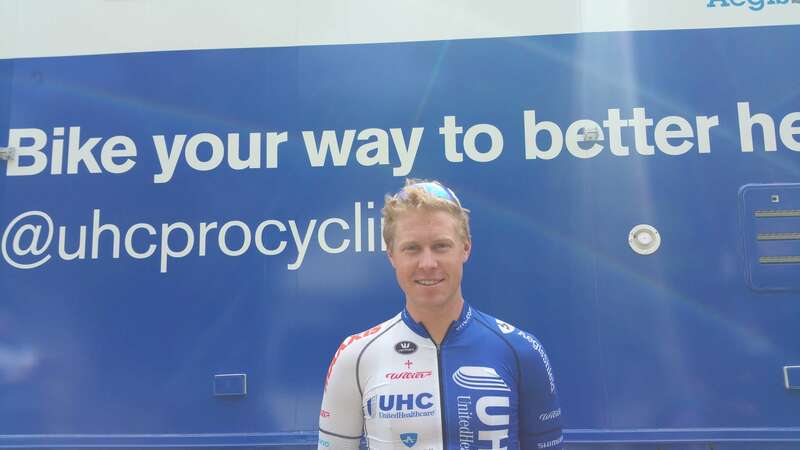 CC – How is your life with United Health Care Professional Cycling team? TP – It's going great. I fit in with the bunch really good. The guys are great. I'm the young guy on the team so they all kind of take care of me. I've had a great race program so far. The season has gone really well. I couldn't be happier. CC – How did starting bicycle racing in Utah and even before that with nordic ski racing prepare you for this level of cycling? TP – I started racing at a really young age, and yeah, just fell in love with it, and Junior Nationals came to Park City Utah in 2005, and I started out racing at the RMR (Rocky Mountain Raceway) and local races. Those events helped me develop as a rider and helped get me noticed at the national level and for racing with the National Team. So racing in Utah, if they didn't have such a great community of racing and great people there, I don't think I would be in the sport. It has got me to where I am today. CC – Utah's well-established training series events have been the proving-ground for many cyclists before you. Marty Jemison was the first rider to make the professional ranks up through Dave Zabriskie and so forth – it's really important for communities to have training races like that. And your brothers, Chris (Putt) (Axeon) is right behind you, and Noah still a junior progressing nicely. I don't know how he is faring with his broken clavicle but I know he'll be back soon enough. TP – Yeah, (nodding) so it's really important to have training series to have an opportunity to get guys started young so that they can get noticed, like myself and TJ Eisenhart (BMC Develpment), and my little brother, and get a chance to start racing with the national team. The RMR is a lot of fun. I use to love going to those races with brothers and my dad… All that helped me fall in love with the sport. CC – Mentioning TJ who I think is in Europe right now reminded me that you rode with BMC. TP – TJ is racing over there right now…It was BMC/Hincapie back then when I was 20. And the last three years with Axel's (Merckx). CC – So now this is your first year not U-23. CC – You had a couple of years in Europe prior to that. TP – I've been racing over in Europe since I was eighteen on the National Team. This is my first year racing professional in Europe. CC – And from my perspective, very astute riding on your part to make that selection near the very end. CC – You showed some pedigree there, and that you're learning the game very well. TP – Yeah, thank you. CC – And I know John Murphy finished fourth yesterday. And for today, Stage 2 ATOC, my guess is that UHC will be out to protect John Murphy. CC – It's going to be windy. (Murphy finished 4th on stage 2). TP – I think mostly a headwind today. We were expecting crosswinds yesterday but it was never windy enough or open enough. Murphy is going really strong right now. I've taken a little break after Paris Roubaix. Sort of on the come-back right now to build for Nationals. Murphy is going really well, obviously as he was fourth in the sprint. Which is a really good result with the sprinters here. So, we're definitely going to try to help him out again in the finish. CC – I've got to ask you about Paris Roubaix. Everyone is interested about your experience there…the forest.. describe your experience.. what was the scariest part…? TP – It was the coolest race I've ever done. Maybe the scariest part was…I had chills lining up at the start line or the day before at the team presentations…when we hit the first cobble sector.. that was a bit scary.. Ah.. just real eye-opening. I've raced in Europe a lot and quite a few cobble races … but fighting for position in that race for the cobbled sectors is completely different than any other race. It's the best in the world. It's the best guys at positioning and fighting. CC – And you'll be back..? TP – Yes, I'll definitely be back. CC – Maybe you can have the experience of racing Paris Roubaix in the rain? TP – I was very lucky that my first Roubaix was dry. CC – Right! Thanks for your time. Tanner finished in the main bunch on stage 2 and lies in 68th place going into the first climbing stage of the 2015 Amgen Tour of California.